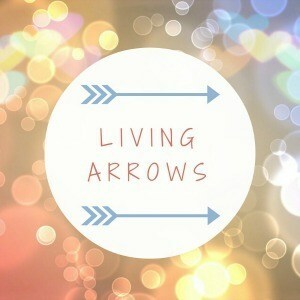 My third week of joining in with Living Arrows hosted by Donna at What The Redhead Said. Every Monday, me and other fellow bloggers share a moment from our week and pictures of our children; ideally one of each of our children. Last week was the first official week of nursery for Nathan. He was there for 3 days – 8am to 6pm which is quite a lot I might say. He still cries when I leave him there, but not for long I’ve heard which makes me feel less worried. With Nathan at nursery, it meant that I had more time for me and Josh and we spend a lot of time together. I also shaved Josh’s hair because if Nathan had none, I thought it would be fun for both of them to look quite similar. I really don’t think bald hair suits any of them and I promise I’ll never do it again; but I had to document it because they’re still memories – great and fun ones too! Other than that, we didn’t do much last week or go anywhere except our local park which we only managed to visit on Saturday. We have visited that park for years but I have never seen a ‘Bug Hotel’ there before and I thought that was really cute and thoughtful. One of the reasons I wanted to join Living Arrows was the fact that I needed a motivation and something to push me to get outside with the boys more. Being alone all day in the house can get really boring and depressing but at the same time, I hate that it takes me ages to get both of them ready and then, if it’s not grocery shopping or a play area for children like the park, playgroup or soft play, I just can’t cope with both of them on my own anywhere else. Going for a drink or a meal with a friend is out of discussion; the boys will drive me mad in the first 30 minutes. I really need ideas of what I can do or visit with the boys when it’s just me that has to look after them. I live in NW London so any ideas are more than welcome, please :D! Thank you. I will do more research and hopefully I’ll find more places to visit with the children.